Well it is still cold but thank goodness the snow and severe frosts are behind us (famous last words). As soon as we have the first warm day our plants don’t waste a minute to sprout buds. The whole garden is coming alive. I could have highlighted the beautiful early flowering Camellias that are starting to bloom at the moment for their stately foliage and flowers. 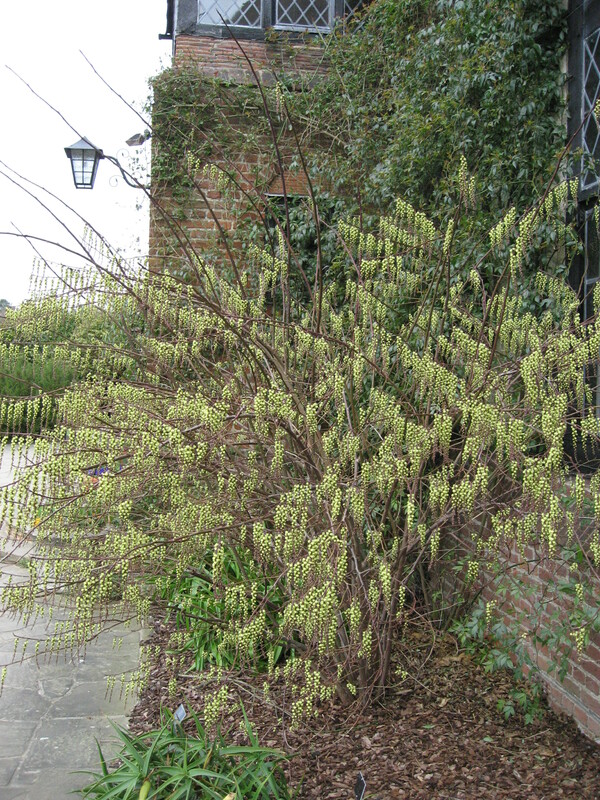 However, the plant I have selected for March is not that common but one I think is fantastic at this time of year. A small tree or large open shrub, it will stop passers by to admire it. 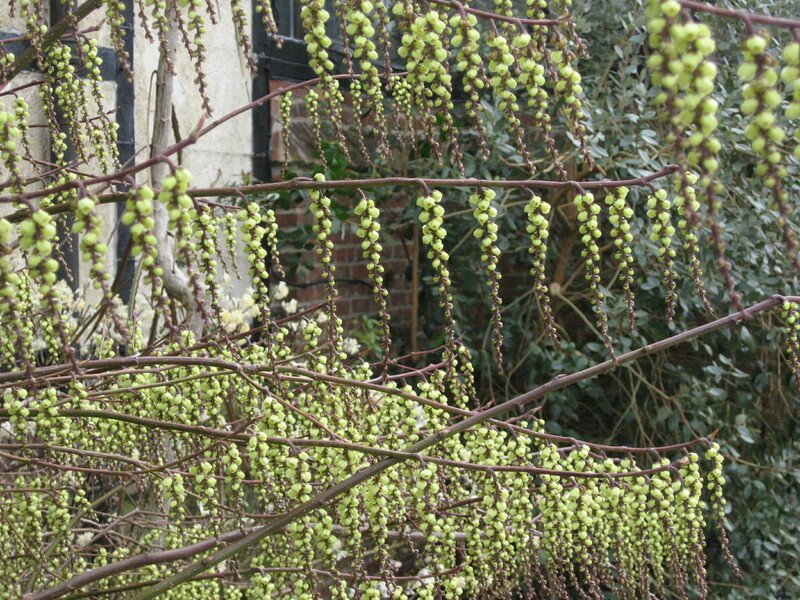 Stachyurus chinensis is covered in delightful ‘chandeliers’ of pale yellow flowers which can be under planted. It is not scented, but it usefully fills the gap between the very early flowering shrubs and the colour blast of the spring bulbs.